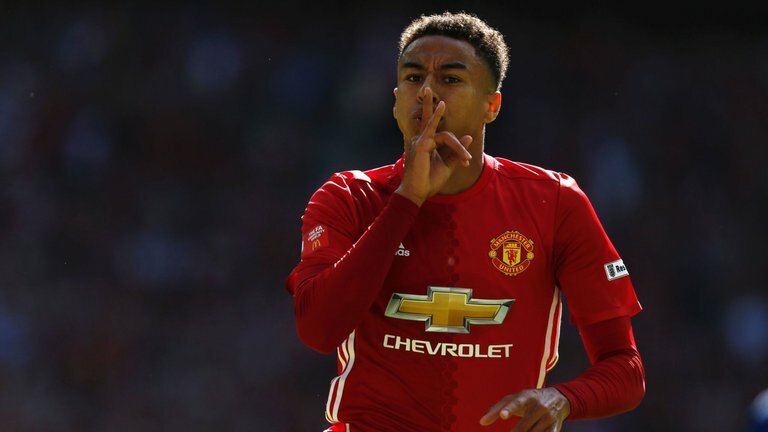 Manchester United midfielder Jesse Lingard has said that it is ‘definitely possible’ that his side can win three trophies this season, and insisted that the Red Devils are virtually unstoppable under José Mourinho. After a tough start to the season, Mourinho’s men have found their feet, and have only picked up one loss in their last 19 fixtures. “The lads and everyone are very confident at the moment,” the 24-year-old told Sky Sports. “Everyone is on a roll at the moment. “It’s the team spirit, winning matches, there’s a real togetherness in the squad, we’ve really gelled in the last three or four months. Lingard has played 20 times under Mourinho this season, and says the squad are always trying to impress the Portuguese boss. “He’s still the same, he’s laidback, but when things aren’t going his way obviously he’ll tell you. The lads are still trying to impress him, and still get a feel for it,” he added. “The squad is coming together, the manager is coming together, and it’s a great feeling at the moment. “We’ve got the strength in depth to rotate. Everybody works so hard on the training pitch and then obviously it is down to the manager to rotate. Despite being 14 points behind league-leaders Chelsea in the Premier League, Lingard believes United can still pick up three trophies this season, as the team find themselves in the EFL Cup final, and still going strong in the FA Cup and Europa League. “We’re still in four competitions, so everybody is going to play. To pick up this treble of trophies, United will have to beat Southampton in the EFL Cup final, and beat Blackburn Rovers and St. Etienne to progress in the FA Cup and Europa League respectively.